I went for a bit of an experiment the other afternoon/night and captured something different, that I’d like to share with you. 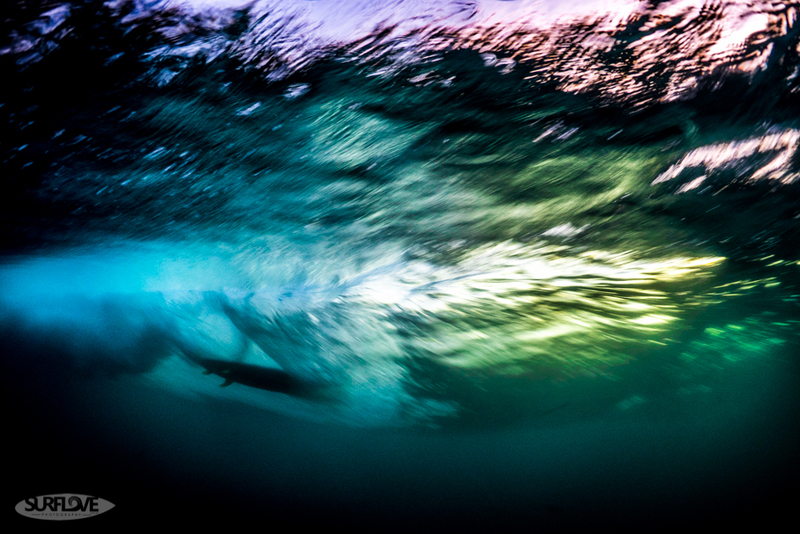 So with an idea of slow shutter, sunset, surf, underwater, silhouettes and some more experimental stuff in mind I started to swim out just as the sun was setting. I misjudged my timing and arrived at the point break a minute after the sun had set. But luckily the sky hat a mist / thin layer of clouds on offer that were glowing bright orange for a while. 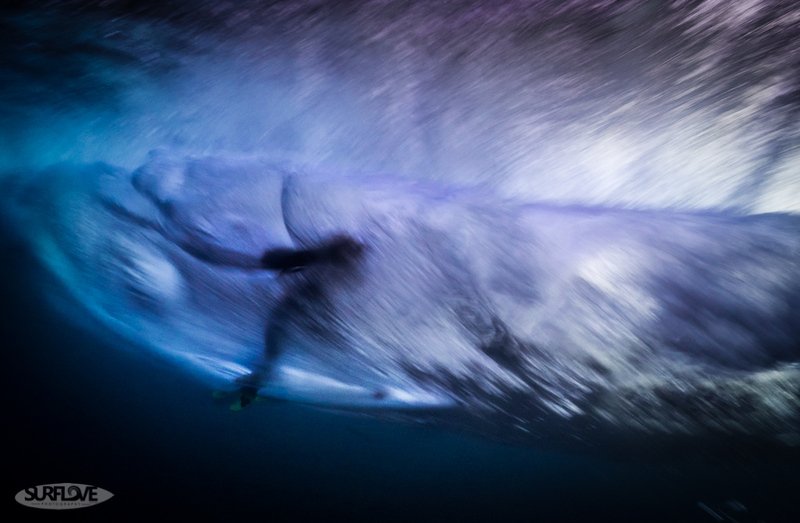 Some last surfers were still out surfing in the last light – which was exceptional! 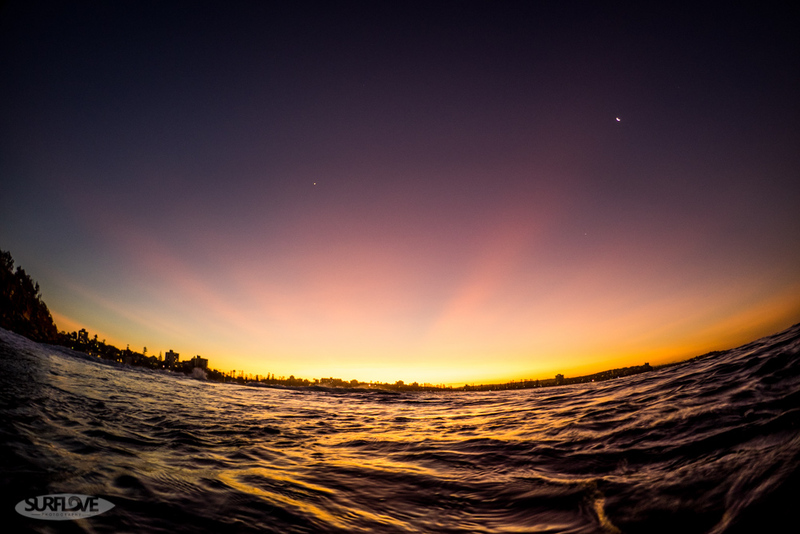 The ocean surface had transformed to dancing black oil reflecting the vibrant orange sky. 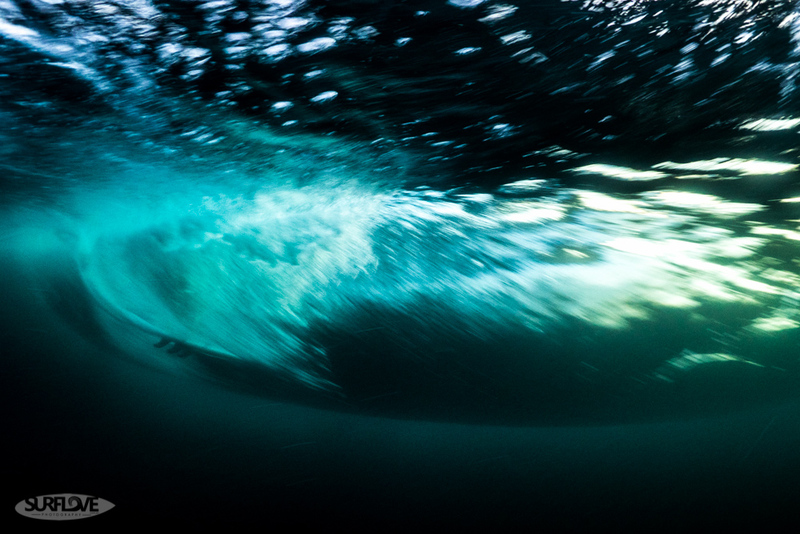 The waves were just big and clean enough for some barrels and so I positioned myself just behind the breaking waves and set my shutter to 1/30sec and exposed for underwater shooting. With the sunset afterglow lighting up the breaking waves and a surfer pulling into the barrel with his hand stretched out into the wave to slow himself down I followed his movement as good as I could make out in the dark and captured a version of a shot I had in mind for weeks. My friend and fellow surf photographer Spencer and Izac were out too and I captured some of their silhouettes into some of the shots too. 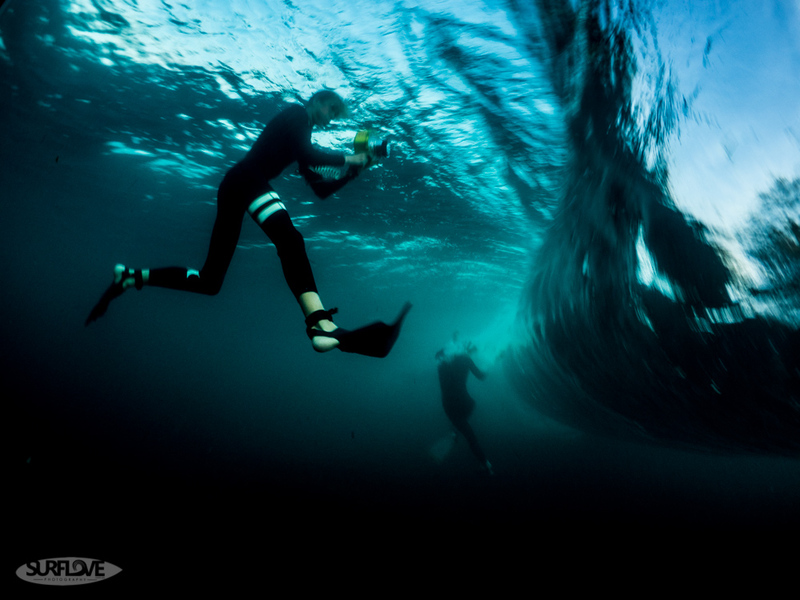 I haven’t shot underwater in a while… I don’t like the idea of just shooting blindly. 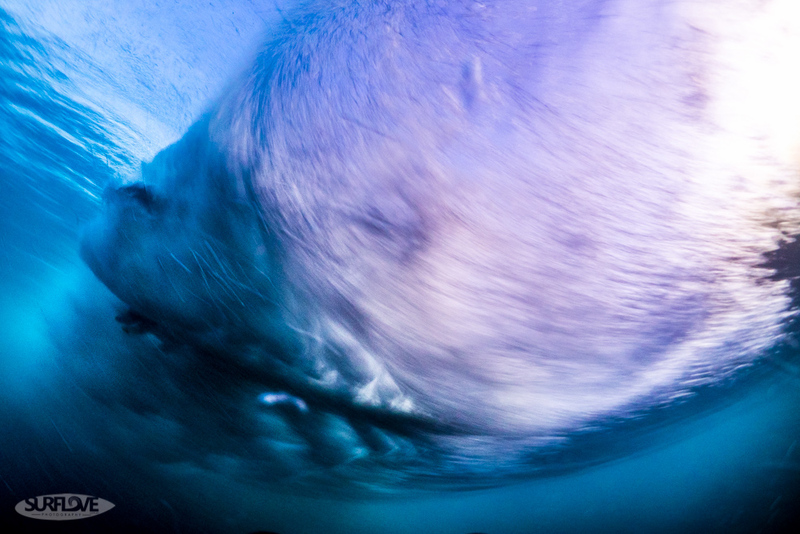 Also, being underwater just firing at the shapes and movement of the ocean can be a bit of a hit and miss. But actually swimming out and wanting to achieve a certain style / shot was a different story. Like I mentioned earlier, I’ve had this kind of shot in mind for weeks and was basically waiting for the conditions to come together – which really doesn’t happen very often. There’s still room for improvement, but it’s close to what I had imagined. I’d like to experiment further into this shot with a larger dome port and possibly an off camera (waterproof) flash behind the surfer. All shots were captured with the Olympus E-M1 and Panasonic LUMIX 8mm f/3.5 fisheye lens inside the Olympus PT-EP11 underwater housing in combination with the ZEN 100mm dome port. A really small and compact setup that is great to handle. Like my work? Why not follow me on Facebook & Instagram for daily photos! 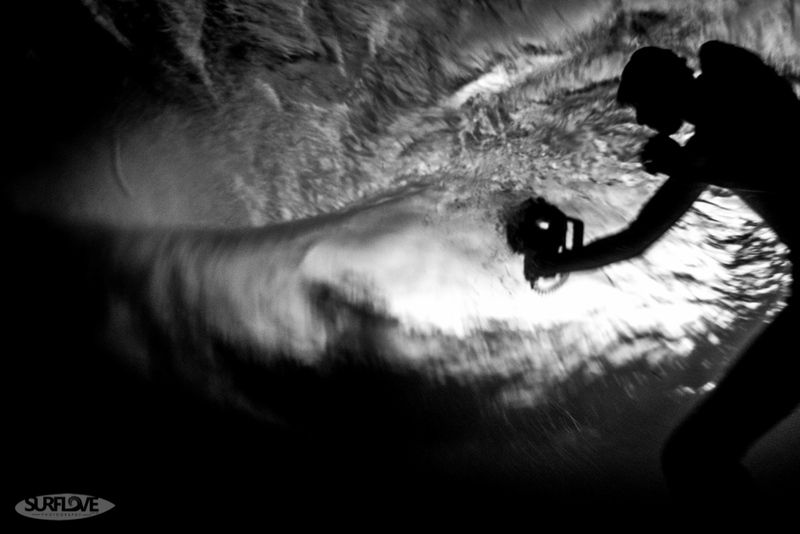 I’m also giving away free surf photo sessions! 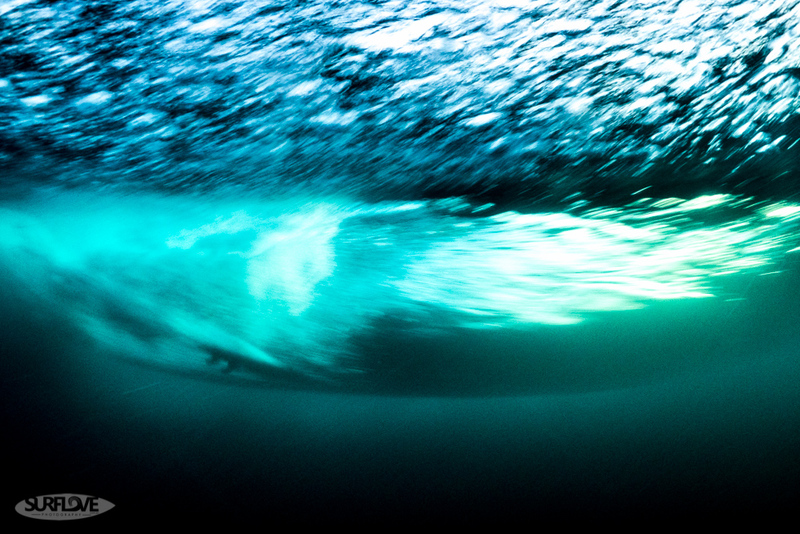 It’s free and super easy to enter: All you have to do is sign up for the SurfLove Newsletter. BAM you’re in the draw! 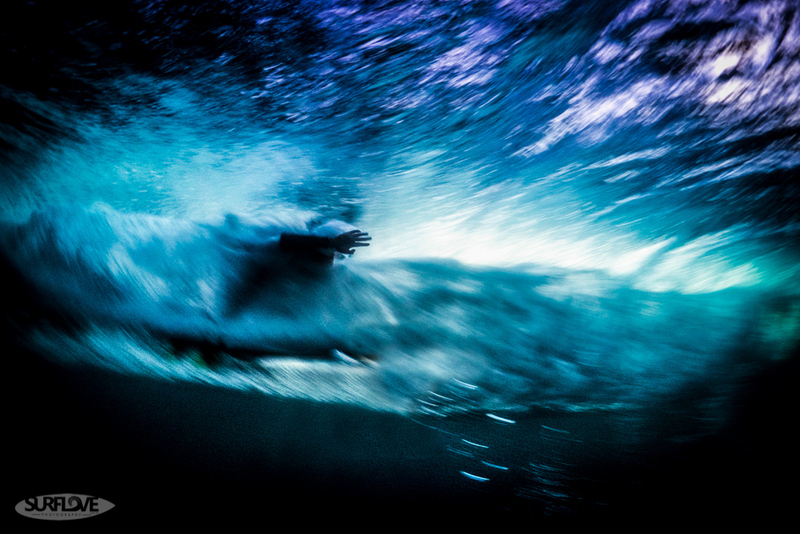 If you’re a keen photographer and want to learn how to capture shots like these then head over to the Workshop section to learn everything about surf photography workshops I do. 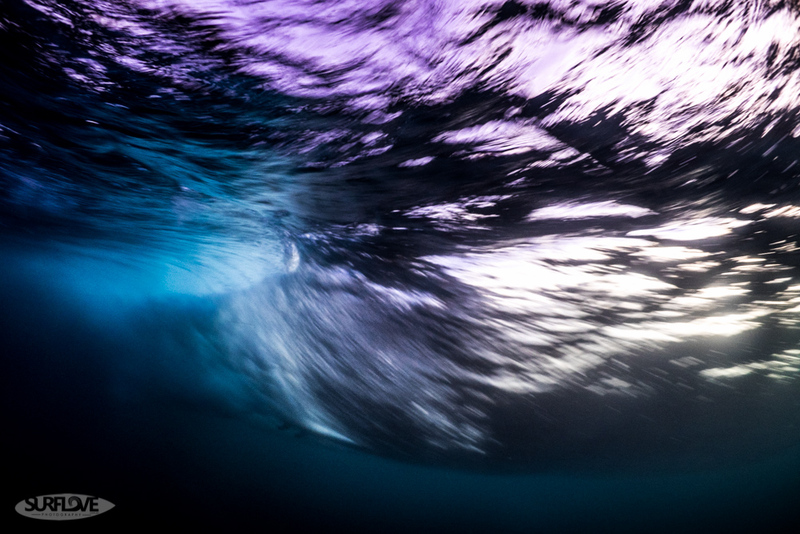 Most of these shots are available as prints in the Print Store under the Underwater section.